Description Recent Arrival! 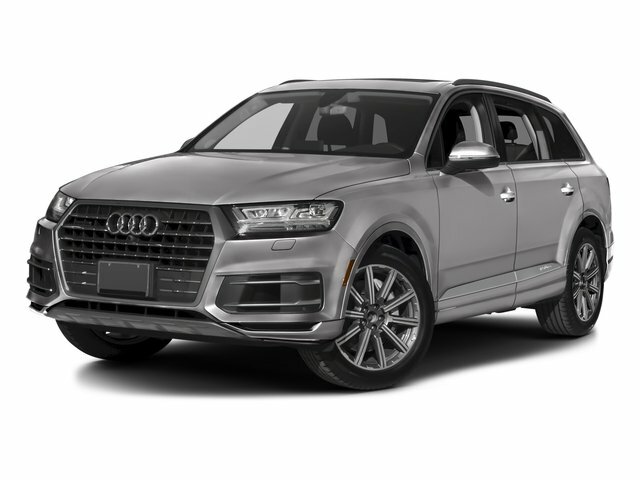 2017 Audi Q7 3.0T Prestige quattro quattro Ink Blue CARFAX One-Owner. Clean CARFAX. Certified. ONE OWNER!, Accident Free, 3D Bose Surround Sound System, 3-Spoke Multifunction Steering Wheel w/Paddles, 4-Zone Automatic Climate Control, Alcantara Headliner, Audi Advanced Key, Audi Connect CARE, Audi Connect PRIME & PLUS, Audi MMI Navigation Plus Package, Audi MMI Navigation Plus w/MMI Touch, Audi Side Assist, Audi Smartphone Integration, Audi Virtual Cockpit, Cold Weather Package, Driver & Passenger Front Seats w/Ventilation, Electric Tilt/Telescopic Steering Column, Extended Leather Package, Full LED Headlights, Head-Up Display, Heated Auto-Dimming Power Folding Exterior Mirrors, Heated Rear Seats, Individual Contour Front Seats, LED Interior Lighting Package, LED Interior Lighting Package Plus, Luxury Package, Manual Window Shades For Rear Doors & Tailgate, Power moonroof, Power-Closing Doors, Prestige Package, Rear-Seat Entertainment, Stainless Steel Trunk Sill, Top View Camera System, Towing Package, Valcona Leather Seat Trim, Vision Package, Warm Weather Package, Wheels: 20 10-Spoke-Star Design. * ALG Residual Value Awards * 2017 KBB.com 10 Best Luxury SUVs Our family has been committed to serving the Petoskey community for decades, from providing the city's school buses to offering a fantastic selection of new and used cars, trucks and SUVs in our Michigan Buick GMC Audi dealership. We strive to be your trusted dealership of choice, and we think we know a thing or two about how to do that thanks to a long legacy satisfying customer needs and being an active participant in the community in Petoskey and beyond.